Quick Italian linguistics lesson: spaghetti gets its name from the Italian word “spago,” meaning string. 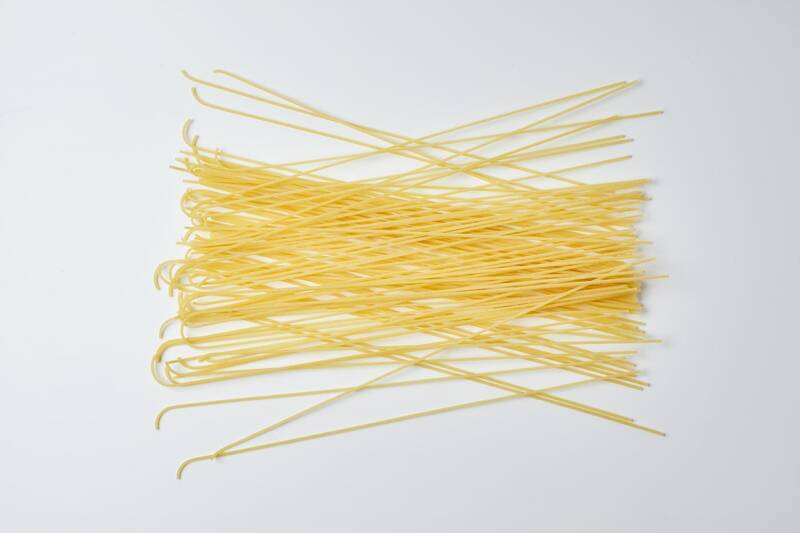 Spaghetti simply means little strings and spaghettini are therefore….very little strings! 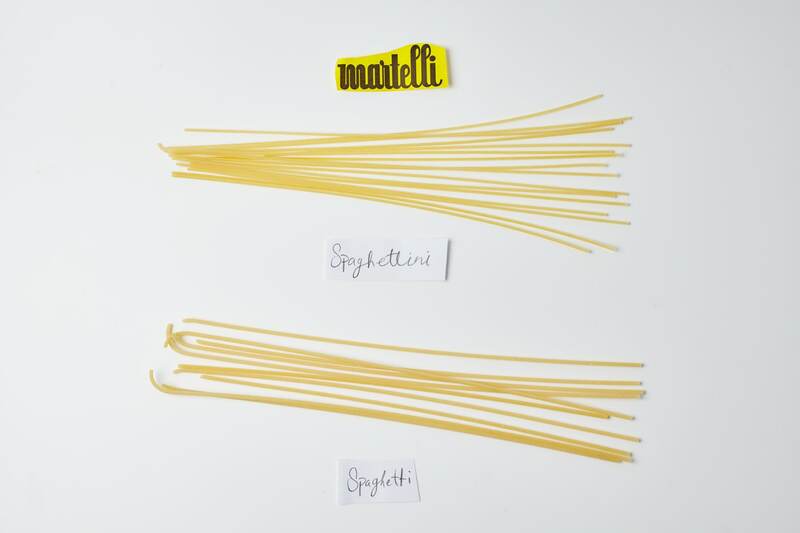 Spaghettini are thinner than spaghetti, cook faster and have a lighter - and yes, stringier - mouthfeel. This makes them best matched with light sauces, such as a simple dressing of sauteed garlic and olive oil. Use them wherever your recipe calls for angel hair, vermicelli or capellini. The hard durum semola flour used to make Spaghettini Martelli is 100% Italian semola di grano duro.